Baltimore’s Ed Schrader’s Music Beat playing live on KEXP! Enjoy..
Two very anticipated albums from Baltimore are coming out soon- Dan Deacon’s “Gliss Riffer” comes out next week, and Lower Dens’ “Escape from Evil” will drop at the end of March. Check out some interviews and give them a listen! Gliss Riffer streaming on NPR’s First Listen. Dan Deacon interview in Consequence of Sound. Lower Dens video for “To Die in L.A.”, featuring video work by Baltimore artist Hermonie Only. Jana Hunter interview in Vogue. Baltimore Music in the News! Congrats to Future Islands, whose song “Seasons (Waiting on You)” was named the #1 single of the year on Pitchfork! You can watch a mini-documentary about the band’s amazing 2014 on NPR. ALSO: Profile of Future Islands in Stereogum. Also, Wham City has been busy, with a new video on Adult Swim called “Unedited Footage of a Bear” that, well, you should just watch. Baltimore’s City Paper has also posted it’s Top Ten list of local singles and local albums. Baltimore’s Future Islands continues their take over of America, and the world! Check out some videos from recent shows, including a full show on Austin City Limits, Later with Jools Holland and from their free performance at this year’s Hampdenfest! Unfamiliar with the Charm City Fringe Fest? Well the third time’s the charm. The theatre and performing arts festival is expanding for the third time in as many years. Learn more about the cutting-edge festival at http://charmcityfringe.com. There you will find schedules of performances, free events, and important festival info! 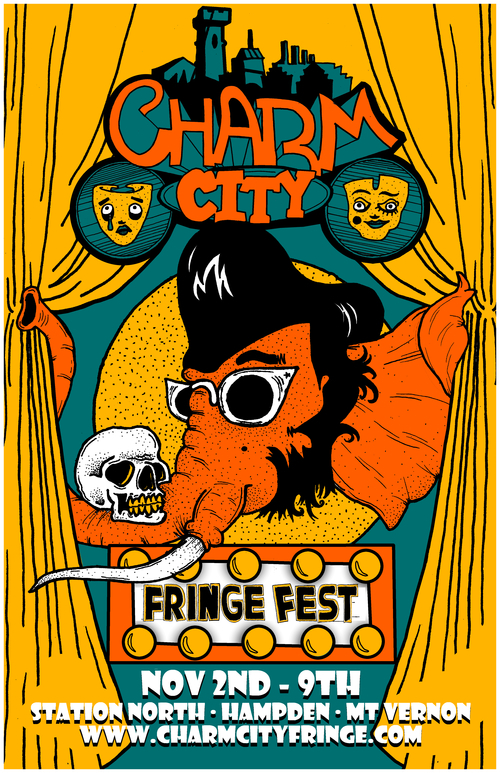 What: The 3rd annual Charm City Fringe Fest. New, up-and-coming, cutting-edge theatre and performing artists from Baltimore and the surrounding area, as well as established artists looking to try something new or reach a different audience, come together for a week of original, exciting live entertainment! Why: Baltimore already has heaps of “fringe” theatre and arts. We’re here to celebrate these artists and offer a collective platform to showcase their works for new and different audiences. On the heels of the 200th birthday of our national anthem, join us for a special Gala concert showcasing quintessential American music, artists and Maryland’s musical roots. Copland’s Lincoln Portrait and Old American Songs are brought to life through narration by Center Stage’s visionary Artistic Director Kwame Kwei-Armah and the soaring harmonies of the Morgan State University Choir, Grofe’s Ode to the Star-Spangled Banner will be brought back to the stage for the first performance in 80 years. The evening wouldn’t be complete without a performance of Gershwin’s Rhapsody in Blue and a special appearance by the BSO OrchKids and the Baltimore Symphony Youth Orchestra! Tickets purchased on bsomusic.org are for the concert only and do not include the full gala package. 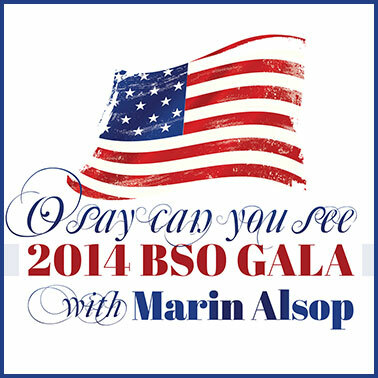 For more information on purchasing the full gala package, visit BSOmusic.org/gala. Two artistic groups with Maryland connections – the Holmes Brothers and the Singing & Praying Bands of Maryland and Delaware — will be honored next month in Washington, DC, as 2014 National Heritage Fellows, the nation’s highest honor in the folk and traditional arts. The Singing and Praying Bands of Maryland and Delaware practice a form of religious worship that encompasses one of the oldest and most historic African-American performance traditions that is still active today, predating gospel, blues, and jazz. Until the late 1950s, thousands took part in singing and praying bands at Methodist churches in Maryland and Delaware. Currently, due to a decrease in participants, on the Sunday when one church holds a meeting, all the current band members come together in that church and hold their service together as one ensemble. Participants come from churches all over the Baltimore area, as well as Annapolis and the Eastern Shore. More information about the Singing & Praying Bands can be found at arts.gov. The Holmes Brothers are known for their distinct style of American music that blends blues, soul, gospel, traditional hymns, spirituals, country, rhythm and blues, and rock and roll. They have released 11 albums over the course of their career, including the 2014 album Brotherhood with Alligator Records. Wendell Holmes currently resides in Rosedale, Maryland, and this summer he is participating in an apprenticeship with a young blues musician from Baltimore, Brooks Long, through the Maryland State Council on the Arts. · Both groups will be honored at an awards ceremony with NEA Chairman Jane Chu and members of Congress on Wednesday, September 17, 2014 at 5 p.m. This event is free and open to the public. Location: Library of Congress’s Thomas Jefferson Building, Room 119, 10 First Street SE in Washington, DC.